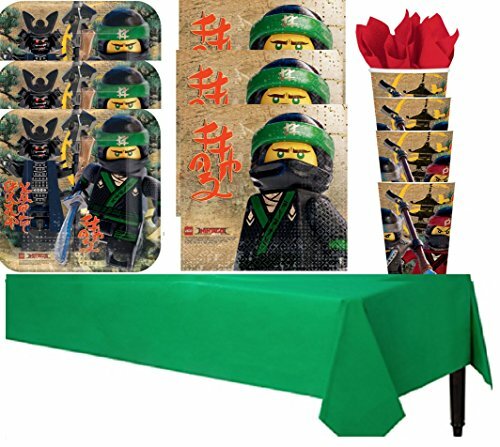 Set the table with The Lego Ninjago Movie Lunch Plates! These square paper plates feature Lloyd Garmadon and his evil father, Lord Garmadon, printed on a tan background. The luncheon napkins feature Lloyd Garmadon. Sturdy paper cups feature the ninjas Kai and Cole printed on a tan background.